Truly unique wedding rings with an ancient twist. 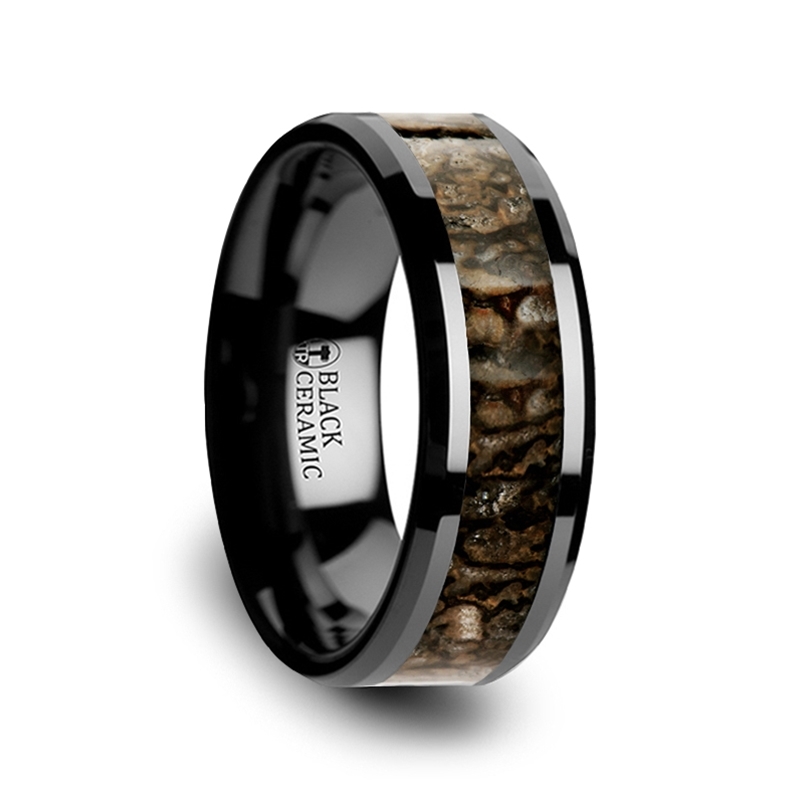 Wedding Rings with "real" dinosaur bone inlay. Millions of years in the making, Thorsten dinosaur rings are inlaid with authentic dinosaur bone pieces. Each piece of agatized dinosaur bone used is from right here in the USA and set in durable black ceramic or tungsten metal. Expert craftsman selects the best bone for each ring, and colors range from white, green, brown, blue, red to pink. Each ring is unique no two will be the same. Prices ranging from $225.00 - $445.00. Delivery time for Thorsten Dinosaur Wedding Rings is up to 10 weeks. These rings are included in Thorstons lifetime warranty that covers size exchanges and replacements due to accidental breaking or cracking.